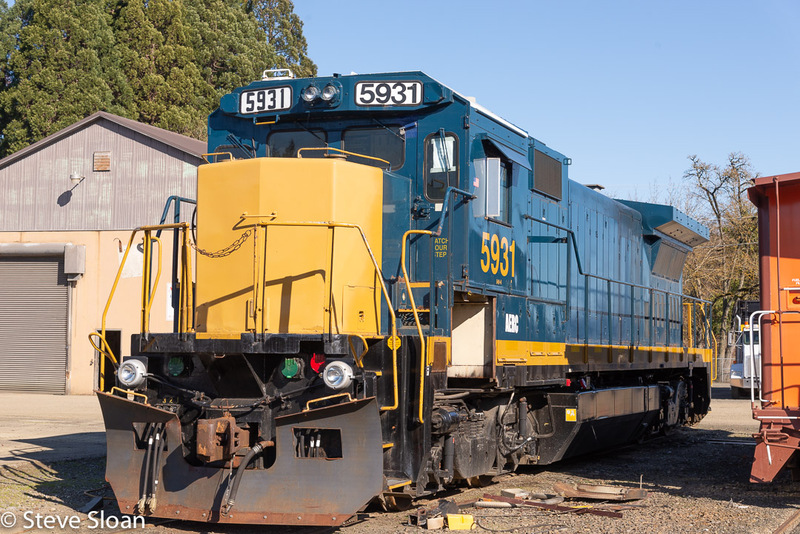 Albany and Eastern Railroad Company 5957 and 9252 crossing Langmack Road near Lebanon Oregon on Monday March 18, 2019. I hope you enjoy these photos as much as I do. The Albany and Eastern Railroad (reporting mark AERC) was created when the BNSF Railway spun off its Sweet Home Branch Line in May 1998. In November 2000, the AERC was combined with the Willamette Valley Railway but maintained the AERC name. 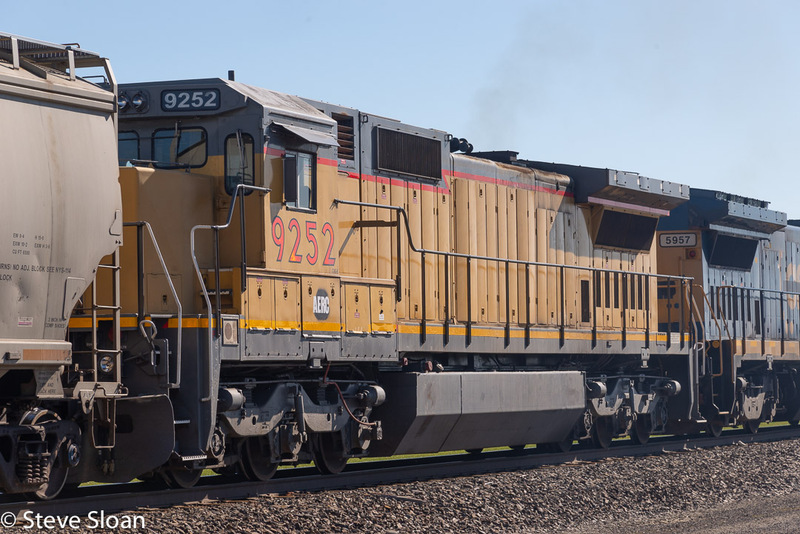 It operates about 49 miles (79 km) of track and is based in Lebanon, Oregon. The line runs from Albany to Mill City. At the Albany end of the line it connects to Union Pacific and BNSF lines. AERC 5931 is a B40-8 built in 1988 as NYSW 4012, serial 45952. 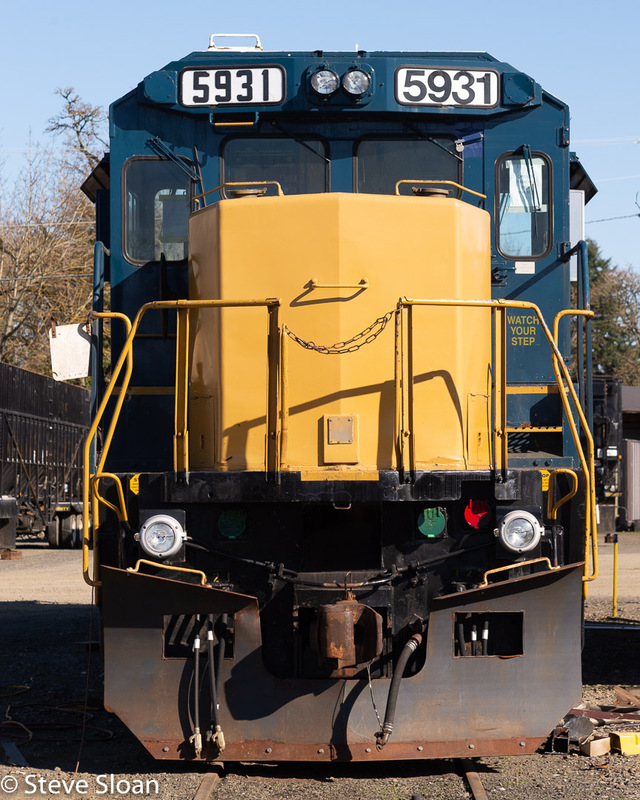 It went to CSX as CSX 5931 then to AERC 5931. 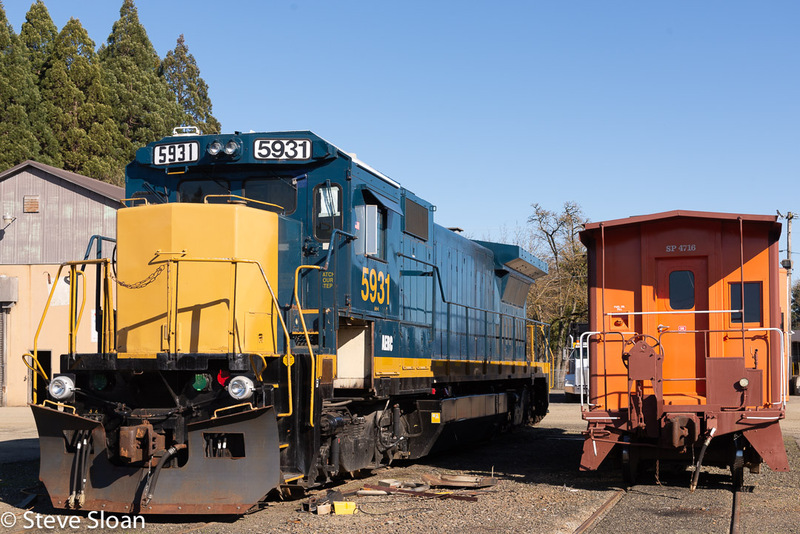 Albany and Eastern Railroad 5931 sits in Lebanon, OR, next to Caboose SP 4716, having work done to it on Monday, March 18, 2019. 5957 is a GE B40-8 built in 1988 as CR 5075 serial number 45639. 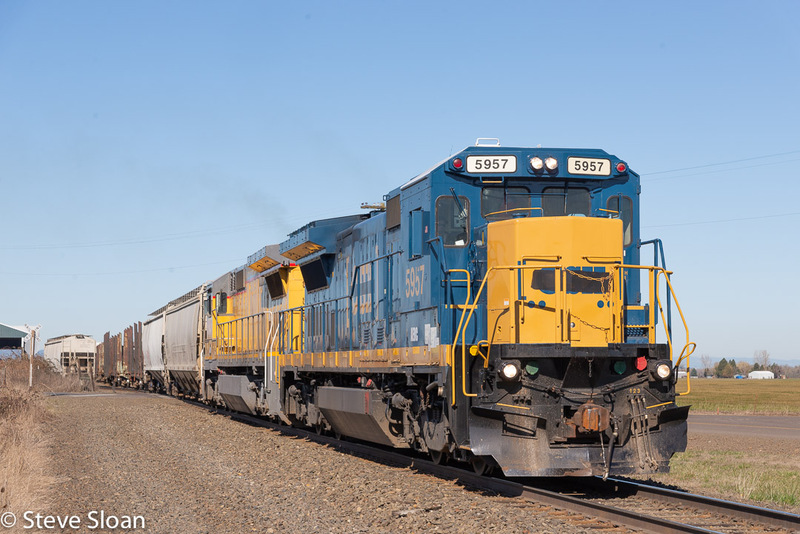 It became CSX 5957 before being sold, becoming AERC 5957. 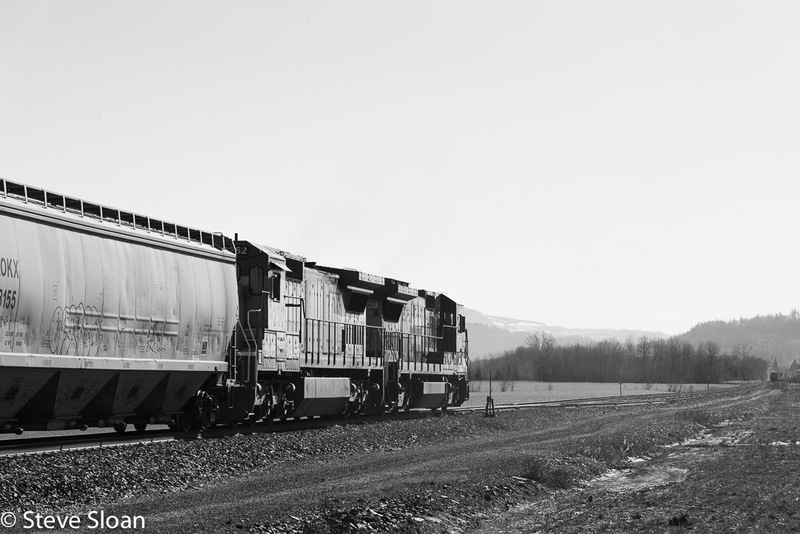 Albany and Eastern Railroad Company 5957 and 9252 crossing Langmack Road near Lebanon Oregon on Monday, March 18, 2019. 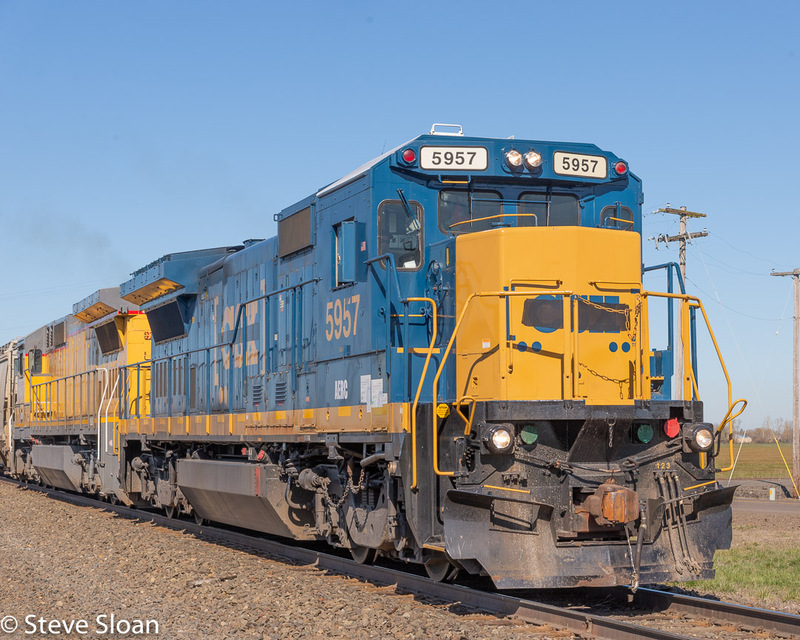 Albany and Eastern Railroad Company is with AERC 5957 and 9252 crossing Langmack Road near Lebanon Oregon on Monday March 18, 2019. To all the great folks who have helped me out with information for these Web pages!